Most germs are spread to other people through our hands. A simple touch of our hands or a hand shake can already transfer germs and diseases. That’s why frequent hand washing and sanitising is advisable, especially in the workplace where there is an exposure to a lot of people. A good hand hygiene in the workplace is vital to avoid employees getting sick, minimise the spread of germs and maintain a healthy workplace for your employees. 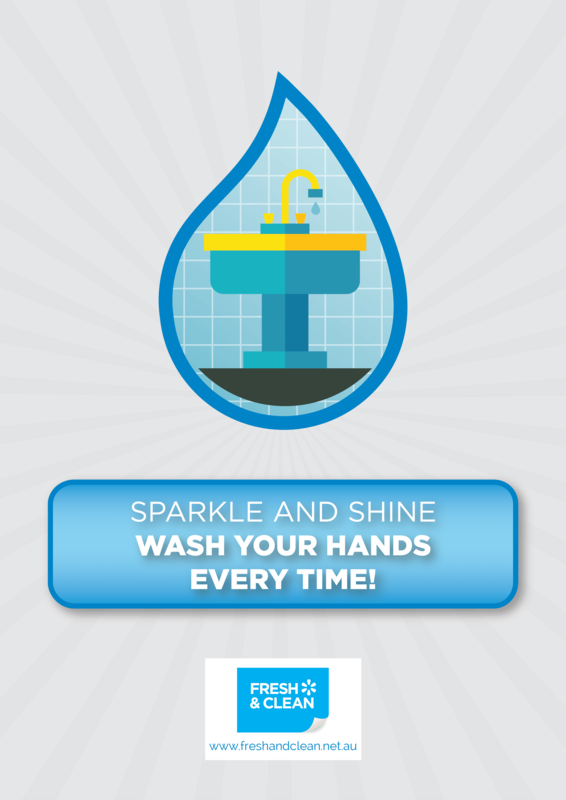 With this in mind, Fresh & Clean has crafted these useful hand washing posters with catchy messages that you can post in your workplace to remind and encourage your employees to wash hands and sanitise. Feel free to download as many as you like and make sure everyone is reminded to maintain good hand hygiene in the workplace. A4 and A3 sizes are available. 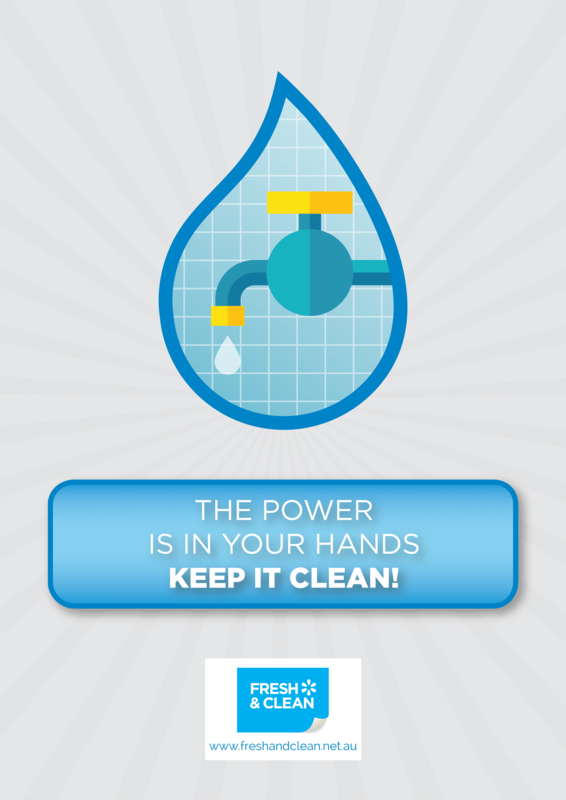 The power is in your hands, keep it clean. Sparkle and shine. Wash your hands every time! Wash your hands. You know where you’ve been! 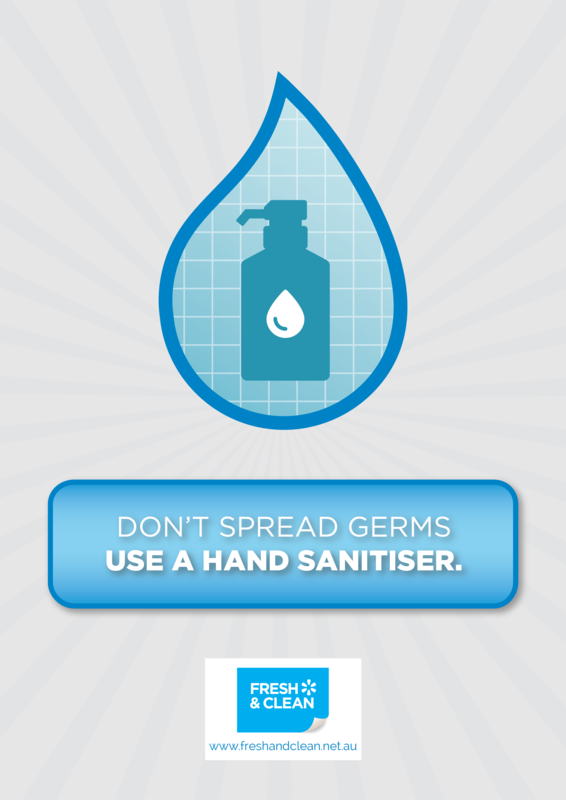 Don’t spread Germs. Use a hand sanitiser. 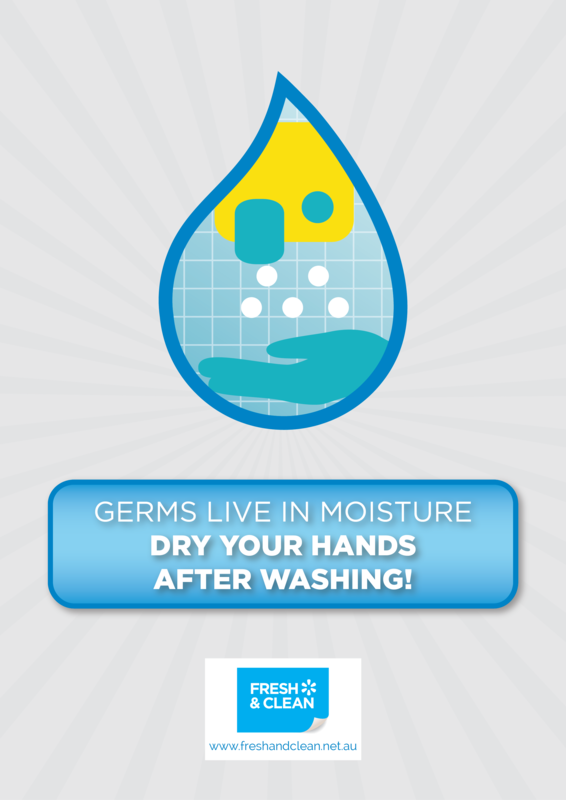 Germs live in moisture. Dry your hands after washing! Infection – don’t pass it on. Sanitise your hands! Share the love, not the germs. Sanitise your hands! 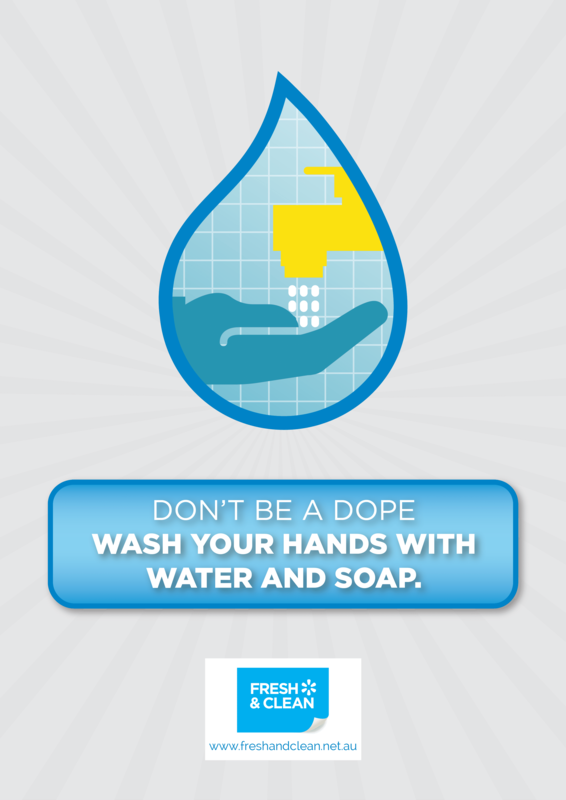 Don’t be a dope. Wash your hands with water and soap. Call 1300 733 177 and ask about our washroom hygiene programs.